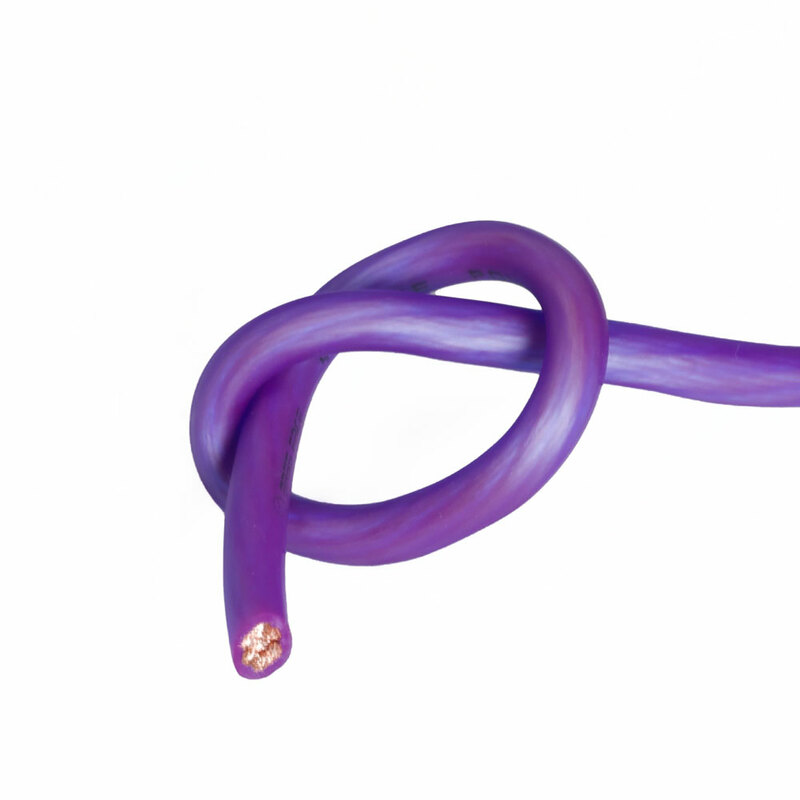 Our 100% pure OFC cables feature an extremely flexible and very durable protective sheath which make them a delight to work with compared to the normal stiff cables. The power cables have a very high strand count - 5929 strands for the 00AWG - 5250 strands for the 0AWG – 1862 Stands for the 4 AWG – 728 strands for the 8 AWG. The pictures speak for themselves; these are fantastic high current cables.